A moving story of the extraordinary friendship between a boy and his fox, and their epic journey to be reunited. Beautifully illustrated by multi-award winner, Jon Klassen. Pax was only a kit when his family was killed and he was rescued by 'his boy', Peter. Now the country is at war and when his father enlists, Peter has no choice but to move in with his grandfather. Far worse than leaving home is the fact that he has to leave Pax behind. But before Peter spends even one night under his grandfather's roof he sneaks out into the night, determined to find his beloved friend. This is the story of Peter, Pax, and their journeys back to each other as war rampages throughout the country. 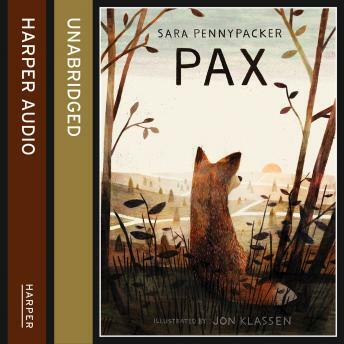 A profound and moving story with stunning illustrations by award-winning illustrator, Jon Klassen, 'Pax' is destined to become a classic in the vein of 'Charlotte's Web' and 'Watership Down'.